love rainy days and stormy nights, huffing winds and wet roads. cools the air and soothes the soul. 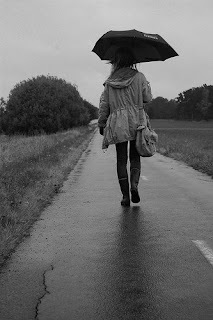 a silent walk, so stealthily slow, a walk in the rain to fool the pain. teardrops from heaven, above the skies. a night of deep and quiet sighs. rain, rain, my dearest rain, please feel free to come again.